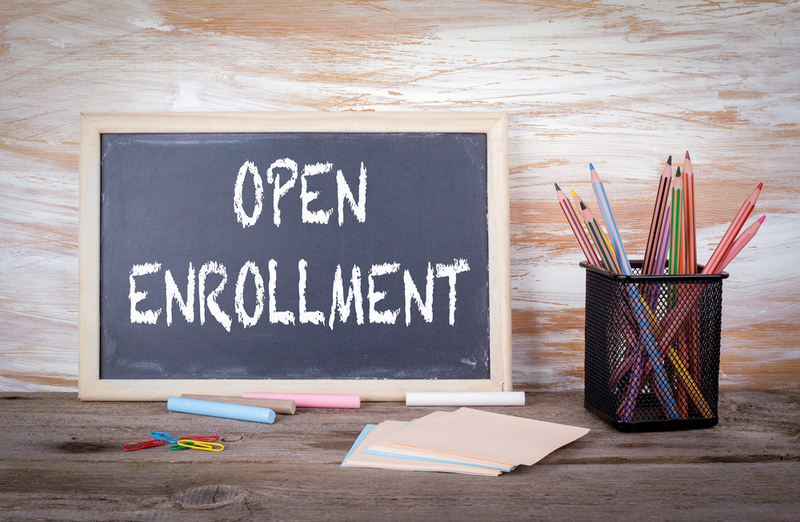 Open Enrollment is upon us (Nov. 1 to Dec. 15) and many customers are asking questions on social media and at our call center about their new ACA rates and changes. Keep these in mind when reviewing your 2018 premium rates and while deciding what health plan is right for you. If you still have questions, we are here to help. How can I find a plan that works for me? Now that Open Enrollment has started, it is the perfect time to shop for a health plan that works for you and your family. Visit our website to get a free rate quote, compare the plans that are available where you live, and sign up for the plan that best fits your health care needs. Whether or not you qualify for premium subsidies. Please remember that if you qualify for premium subsidies, you must enroll through healthcare.gov to get the subsidy. About 90 percent of Blue Cross NC customers who are enrolled in individual ACA plans receive a subsidy. You will never need a referral to see a specialist. In-network preventive care services are covered at 100 percent. You can earn rewards for taking part in health programs. You can get customer service based in North Carolina from a local company focused on your community. Why is my rate increase higher than the approved 14.1 percent? The approved 14.1 percent rate increase for ACA is an average. Rate increases vary by plan. This year, rate changes can vary from a reduction of 0.6 percent to an increase as high as 23.4 percent. It’s important to note that these increases do not take into account the effects of member aging. Customers that move into the next age band may have rate increases greater than 23.4 percent. The ACA average rate increase of 14.1 percent does not pertain to customers moving from grandfathered plans to ACA plans, which are higher. The increases also do not take into account any premium subsidies, which will significantly reduce the actual cost increase for most customers. Remember, when premiums rise, so do subsides. Subsidy eligible members with higher 2018 premiums may be eligible for a larger 2018 subsidy. As a result, the premium costs they see in their letter is not necessarily the premium cost they will pay after the larger subsidy is applied. Why are some customer’s rates higher than others? Customer’s rates differ due to their age, the health plan they choose and the amount of premium assistance they are eligible for through federal subsidies. Rates also differ by geographic area. Why does Blue Cross NC use 2017 subsidy information instead of 2018 information? Blue Cross NC provides premium subsidy information to customers based off of the financial assistance they received the previous year. There are two main reasons we use the previous year’s subsidy information. First, we are required by Centers for Medicare and Medicaid (CMS) to notify customers of their new premium amount prior to the start of Open Enrollment on November 1. Second, we depend on CMS to send us updated subsidy information each year. CMS did not send us this information in time to meet the requirement that customers be notified of their new premium amount by November 1. We use the previous year’s subsidy information because it is the best information we have to most accurately predict rates. Again, it is important to remember that since 2018 premiums increased, so will 2018 premium subsidies. That means the rate quoted in your letter may not be the amount you pay. Customers should update their marketplace applications to see how much financial assistance they qualify for. Why are ACA plans more expensive than grandfathered plans? ACA plans cost more because everyone is guaranteed coverage, insurers are required to include more benefits, and many consumer protections are required under the law, such as not allowing someone’s health status determine their premium. The overall health status of ACA plan members is poorer, which makes the price tag higher. Why are grandfathered plans being discontinued? Customers with expiring grandfathered plans may feel a sense of “sticker shock” when they see their new premiums for 2018. We understand people are frustrated that their insurance plan is discontinued and their premiums are going up. It is important for our grandfathered customers to know, however, that the plan described in their notification letter is not the plan they have to choose. Customers may also qualify for a premium subsidy which could reduce the amount they pay for their insurance each month. Grandfathered plans are plans that customers bought before the ACA was enacted that do not meet ACA requirements. Because they do not meet ACA requirements, we have not been able to sell the plans since the ACA was signed into law in 2010. Many insurers chose to stop offering grandfathered plans after the ACA became law. Blue Cross NC decided to continue offering them for seven years. Over the course of those seven years, however, more than 80 percent of our customers with grandfathered plans have left them. Because the ACA made it illegal to sell these plans to new customers, the pool of people with grandfathered plans has become older, sicker and more costly to insure. Due to the pool’s age and health, those with grandfathered plans would have faced very steep premium increases over the next few years. And, the pool would continue to shrink, making the plans unsustainable. How can I find a new plan? In matching customers with a new plan, our goal was to ensure there was no lapse in coverage. To do that, we analyzed which doctors our customers visited most often, and then looked for a plan where these doctors are in-network. We also tried to place customers into an ACA plan with similar benefits to their current plan. However, the plan we matched customers with is not the plan they have to choose. We have set up a website to help customers understand this transition and find a plan that works for their family, their budget and their health care needs: www.bcbsnc.com/RenewBlue. It is very important to go to the marketplace during open enrollment – from Nov. 1 to Dec. 15 – and find a plan that works for you. Why is Blue Cross NC still offering transitional plans? Unlike grandfathered plans, which were purchased prior to the signing of the ACA, transitional plans are plans purchased by individuals between March 2010, when the ACA was signed into law, and October 2013. Since grandfathered plans have not added customers since 2010, the pool has gotten older and sicker. On the other hand, since transitional plans were sold to new customers until late 2013, these plans are more sustainable for now. Transitional plans do not meet ACA requirements but are permitted by federal law. The plans cannot be sold to new customers. By law, transitional plans are scheduled to end Dec. 31, 2018, unless the federal government decides to extend them again. How does the government’s decision to eliminate Cost Sharing Reduction Payments impact you? In October the Trump Administration announced that they will no longer be reimbursing insurers for Cost Sharing Reduction (CSR) payments. CSRs are payments made by insurers to eligible members that help offset certain out-of-pocket costs such as deductibles and copayments. Insurers are required by law to make these payments in return for their participation in the ACA marketplace. Until now, the federal government reimbursed insurers for these costs. In the long run, ending federal reimbursements drives up premium costs and makes it harder for insurers to participate in the ACA marketplace. For 2018 Blue Cross NC still plans to offer ACA plans in all 100 counties. Had CSR payments not been eliminated, Blue Cross NC’s final average rate request for ACA customers’ would have been near zero. However, due to the way premium subsidies are calculated, eligible customers impacted by the 14.1 percent average rate increase will also get larger subsidies to help offset their larger premium.